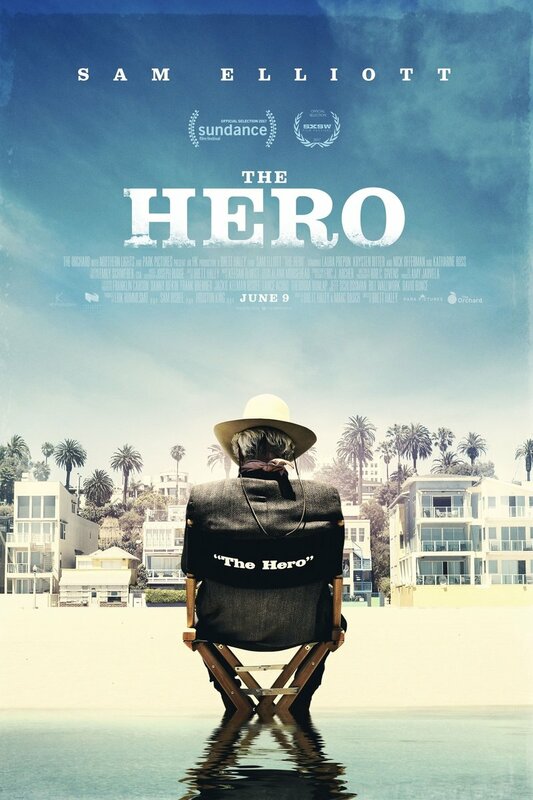 The Hero DVD and Blu-ray release date was set for September 19, 2017 and available on Digital HD from Amazon Video and iTunes on September 12, 2017. Aging Western movie star Lee Hayden's leading roles have all dried up. Largely forgotten, he dwells on his former glory while losing himself in clouds of pot smoke and empty whiskey bottles. After Lee records a silly commercial voiceover, his doctor surprises him with grim news-he's got pancreatic cancer. Shaken, Lee tells his friends he's going off to make a movie, but in reality he spends the time examining his past and reconsidering his priorities. He attempts to reconcile with his estranged daughter Lucy, and begins an intriguing relationship with a mysterious stand-up comic named Charlotte.